The information provided on this website or linked to from this Web site is not intended to diagnose, treat, cure, or prevent any disease - nor is it intended to replace the advice of a physician. The products sold on this website also are not intended to treat, cure or prevent any disease not should it be used to replace or override the recommendations of your physician. Please see your Doctor or registered Physician before practicing any Yoga postures, pranayama, meditation or other techniques mentioned in this website, changing your diet, using exercise program, or referring to any advice or material available on this site. Yogapoint.com, Vishwamitra Systems Pvt Ltd, Yoga Vidya Gurukul, its owners, trustees , employees and authors make no representations concerning the efficacy, appropriateness or suitability of any products or treatments. No warranty, expressed or implied, is given as to the accuracy, completeness or timeliness of any information herein, or for obtaining legal advice. To the fullest extent permissible pursuant to applicable law, neither the author nor any other parties who have been involved in the creation, preparation, posting, or delivering of this web site assume responsibility for the completeness, accuracy, timeliness, errors or omissions of said information and assume no liability for any direct, incidental, consequential, indirect, or punitive damages as well as any circumstance for any complication, injuries, side effects or other medical accidents to person or property arising from or in connection with the use or reliance upon any information contained herein or pages linked there from. The entire risk as to the use of this Web site is assumed by the user. The information, services, products, and materials contained in this site, including, without limitation, text, graphics, and links, are provided on an "as is" basis with no warranty. To the maximum extent permitted by law, Yogapoint.com, its owners and representatives disclaim all representations and warranties, express or implied, with respect to such information, services, products, and materials, including but not limited to warranties of merchantability, fitness for a particular purpose, title, non-infringement, freedom from computer virus, and implied warranties arising from course of dealing or course of performance. In addition, Yogapoint.com, its owners and representatives do not represent or warrant that the information accessible via this site is accurate, complete or current. Price and availability information is subject to change without notice. Yogapoint.com, its owners and representatives are not responsible for the content of any linked site or any link contained in a linked site, or any changes or update to such sites. The inclusion of any link does not imply endorsement by Yogapoint.com. This Web site, its authors, owners and representatives makes no representations or claims as to the quality, content and accuracy of the information, services, products, messages which may be provided by such resources, and specifically disclaim any warranties, including but not limited to implied or express warranties of merchantability or fitness for any particular usage, application or purpose. The author and other parties involved in the creation of this Web site assume no responsibility or liability for any damages, or viruses, worms, Trojan horses or other code that manifest contaminating or destructive properties that may infect your computer equipment or other property on account of your access to, use of, or browsing the web site, or your downloading of any materials, data, text, images, video, or audio from the web site. The receipt of an e-mail order confirmation does not constitute the acceptance of an order or a confirmation of an offer to sell. Yogapoint.com reserves the right, without prior notification, to limit the order quantity on any item and/or refuse service to any customer. Verification of information may be required prior to the acceptance of any order. The individual documents provided on this Web Site are copyrighted by the Website and their authors. All site design, text, graphics, interfaces, and the selection and arrangements thereof are copyrighted by Yogapoint.com and their authors. Permission to reprint, copy, download, save, electronically reproduce, or utilize any document, site design, text, graphics, interfaces, and the selection and arrangements thereof on this Web site, in part or in whole, is expressly prohibited. The unauthorized alteration of the content of this Web site is expressly prohibited. The Website, its owners, agents and representatives shall not be responsible for any claims, actions, or damages which may arise on account of the unauthorized alteration of this Web site. Any and all product names are copyright and trademarks of their respective owners. None of these owners have sponsored, authorized, endorsed, or otherwise approved this website. In no event shall Yogapoint.com and/or its owners, providers and authors be liable for any Damages, included but not limited to direct, indirect, punitive, or consequential damages, or any damages whatsoever, arising out of or in connection with the use, inability to use, or performance of the information, services, products, and materials available from this site. These limitations shall apply notwithstanding any failure of essential purpose of any limited treatment or remedy. Any legal controversy or legal claim arising out of or relating to this Website or this Document be settled through arbitration in accordance with the Indian Arbitration Act. Any such controversy or claim shall be arbitrated on an individual basis, and shall not be consolidated in any arbitration with any claim or controversy of any other party. 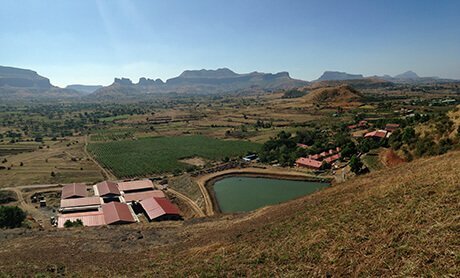 The arbitration shall be conducted in Nasik, India, and judgment on the arbitration award may be entered into any court having jurisdiction thereof. By using this Web site, you signify your assent to these terms and conditions of use. If you do not agree to these terms and conditions of use, please refrain from using this web site. If any provision of these terms and conditions of use shall be determined to be unlawful, void or for any reason unenforceable, then that provision shall be deemed severable from this agreement and shall not affect the validity and enforceability or any remaining provisions. Yogapoint.com respects the privacy of persons subscribing to the online consultation services being provided. Under no circumstances will private information be provided to third party without the prior permission of the persons availing themselves of these services. Yogapoint.com will immediately unsubscribe any person from its mailing list if desired by the person. © Vishwamitra System Pvt. Ltd. All rights reserved.